Family members and loved ones are important to the recovery process. We value the healthy, supportive role of family in successful treatment. Visitation hours vary from unit to unit, so please call the hospital at (352) 265-5497 to get specific hours for your loved one. Children under the age of 14 are not permitted to visit on the adult psychiatric units. We ask that visitors adhere to patient confidentiality and not discuss any of the other patients they may see here with anyone else. All visitors must check in at the receptionist desk in the front lobby. Each visitor will be given a visitor’s badge. The badge must be worn and visible at all times. Parking for UF Health Shands Psychiatric Hospital visitors is free. Parking lot is on the south side of the parking lot in front of the building. Please do not bring food items to the hospital for your loved one without special permission from his/her physician or nurse. 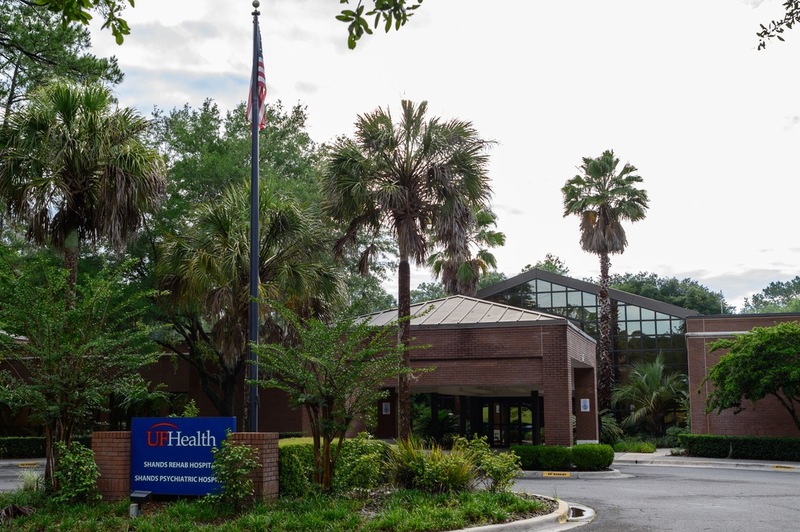 Upon admission to the UF Health Shands Psychiatric Hospital, patients and families will receive information about the patient rooms, daily schedules, meals and meal schedules, what types of personal belongings are permitted on the units, medication needs and patient safety. If you have any questions, please ask a staff member any time during the admission process or afterward.